For those of you who live in the northern hemisphere, Christmas is a time often surrounded by snow, ice and lots of woolly jumpers. For us in the south, that is certainly not the case. Christmas Day in Australia is in the midst of summer; completely immersed in 30°c temperatures with lots of flies, summer barbeques and flip-flops. For us, there is no chance of a Christmas jumper, a pretty bobble hat or wintery boots.. as even in the middle of our winter, seeing snow is far from the norm. For most of Australian’s on Christmas day, the schedule is much the same as other places around the world. Driving around to visit family members, going to ceremonies for those who are religious, celebrating the joyous time with loved ones, giving and receiving gifts and eating far too much food. Although the one thing that is often different is the food itself. Rather than the traditional roast style meal, a lot of families – although not all – will indulge in an Aussie barbeque instead. A turkey is generally the main portion of the meal, for meat eaters of course, but veggies and other meats are more often cooked on the barbeque. Seafood, cold meats and salads are frequently seen at Christmas lunch, along with the ‘traditional’ style of English roast. Instead of mulled wine and hot chocolates, it’s ciders, champagne and beer; anything refreshing really! On a sunny, hot Christmas day in Australia, many families will be around the pool, at the beach in the afternoon, or sitting outside on the deck enjoying the sunshine… Which is certainly not what others would be doing in places like New York or London. Christmas in Australia is a very relaxed experience. As far as festivities go, we really aren’t all that exciting. Christmas lights are not as extravagant as other places around the world, and there aren’t many Christmas markets to add to your list of events to go to. There are a few window displays in the city centres, carols on Christmas Eve and small festive events around the major cities, but all else aside there isn’t too much to do throughout the month of December. Nothing compared to those of wintery locations at least. Instead of getting cosy on the couch with candles, Christmas jumpers and fairy lights, we are generally sweltering away in the heat, trying to cool down with the comfort of air-conditioning and fans. So, if you’re not from around here, you should definitely try it out sometime. Christmas Day in Australia is far from what is typical in the northern hemisphere. 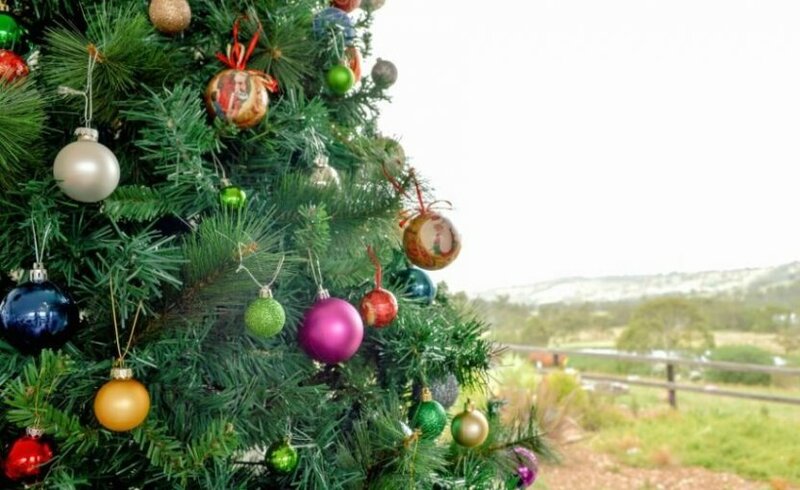 Have you experienced a Christmas Day in Australia? Was it different to how you experience Christmas back home? Disclaimer: There are many Australian’s who do not celebrate Christmas due to differing religions, so of course Christmas day may be very different for them. This is just a general resemblance of what Christmas day is like for the majority of the Australian population! I’d love to know if you celebrate? I was chatting to a Finish dude I met about Christmas in his country last weekend, and it did get me thinking about how christmas is celebrated a bit differently in each country. Thanks for sharing what the festive season is like in Australia, it’s fantastic to get an insight!